INVADERS ASYLUM: Trent Married!!! Where was I when all of this happend . 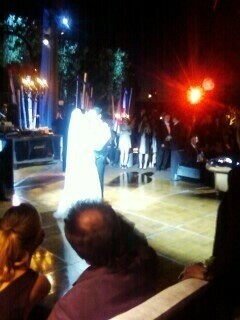 . .
Trent Married!!! Where was I when all of this happend . . . I was surfing the Internet and realized how out of touch I am with the World Wide Web. My PCs been f***up since August 2008 (yeah I know) that was the same year I traveled to Finland. And ever since then I haven't been able to get it fixed. All of my videos and pictures on that hard drive. So instead I bought a new HP netbook this past February. I needed it because I was really starting to feel disconnected from the Internet especially from my Myspace, YouTube and new Facebook account. The reason I am mentioning this is because I just found out on some random google search on another topic that lead me to news that shocked me. Trent Reznor is engaged! and then Trent Reznor is married! I know that this is probably old news to some people, well most people but it was defiantly new news to me. And all this happen in 2009, its 2010 now! Where was I in all of this? I feel really silly right now. I am a fan of Nine Inch Nails and I feel like I should know everything, but I don't. I used to be glue to my computer. But lately life has really been blocking my way. What I mean by that is the stress of reality. The stress of knowing that when you get up early in the morning to go to work isn't because your earning more for yourself but also for those you own money too. For example: Rent, Light, gas, home phone, cell phone and one credit card bill. I find this to be very upsetting for me. I mean for once I would actually like to spend the money that I worked so hard for on things that I like and enjoy but even that may not be possible at times. Back in February I had to decide to either purchase HIM tickets or pay the up coming cell phone bill. 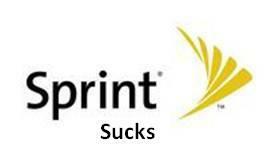 I chose HIM, sorry sprint!